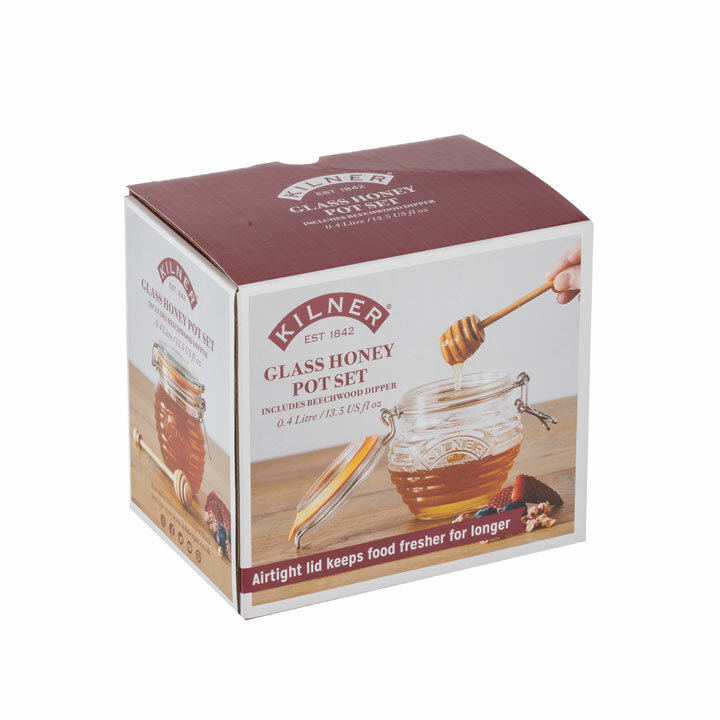 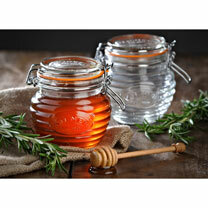 The Kilner honey pot, with beechwood dipper, is ideal for storing and serving honey, treacle or syrup in style. 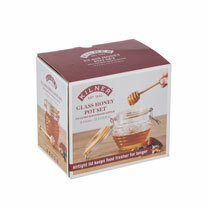 The grooves on the honey dipper allows your delicious honey to hold on while you twirl it, meaning fewer drips. 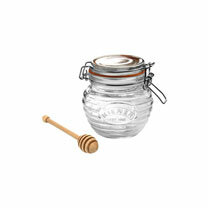 This jar is also perfect for preserving or pickling fruit and vegetables.